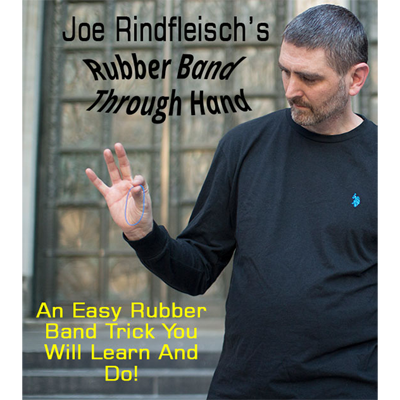 Today, when you order "Rubber Band Through Hand by Joe Rindfleisch", you'll instantly be emailed a Penguin Magic gift certificate. You can spend it on anything you like at Penguin, just like cash. Just complete your order as normal, and within seconds you'll get an email with your gift certificate. 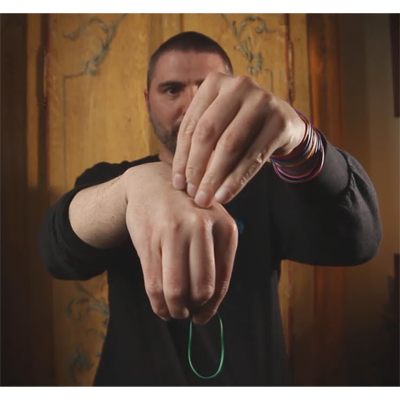 Rubber Band Through Hand, is an amazing multiphase routine where a rubber band visibly penetrates up and down through the center of your palm. Joe Is releasing one of his favorite effects, it is a complete visual masterpiece in rubber band magic! A rubber band is shown and visibly seen to penetrate through the back of your hand. It continues to go through again and again under even more impossible conditions. To end the routine, you blow their minds away with the most visual display of a rubber band penetrating up and down through your hand, Mind Blown! In this effect you will learn completely new concepts never seen before in Rubber Band Magic. The best part is, it's easy to do and completely impromptu, all you need is a single rubber band and you'll be performing this in no time. "Intensely visual, practical and completely impromptu. What else could you ask for? Bravo Joe!" "Man that's awesome! The last phase where the rubber band goes back and forth, just blew my mind away, so cool! 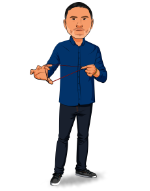 "Joe is the master of rubber band magic and "Band through Hand" is another example of his ingenious thinking"
This is clever effect and a nice addition to a rubberband routine. It's fairly easy and it looks great. I like it. I agree it is a little overpriced though, $5-7 would seem much more appropriate. I'd recommend It at a lower price.